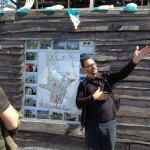 Having whizzed by the sign on the M7 many a time, a visit to Cloughjordan Eco Village was long overdue – so an invitation to take in lunch and the conducted tour of this inspiring place on our Irish Food Writers’ Guild (IFWG) annual Summer Outing was too good to miss. 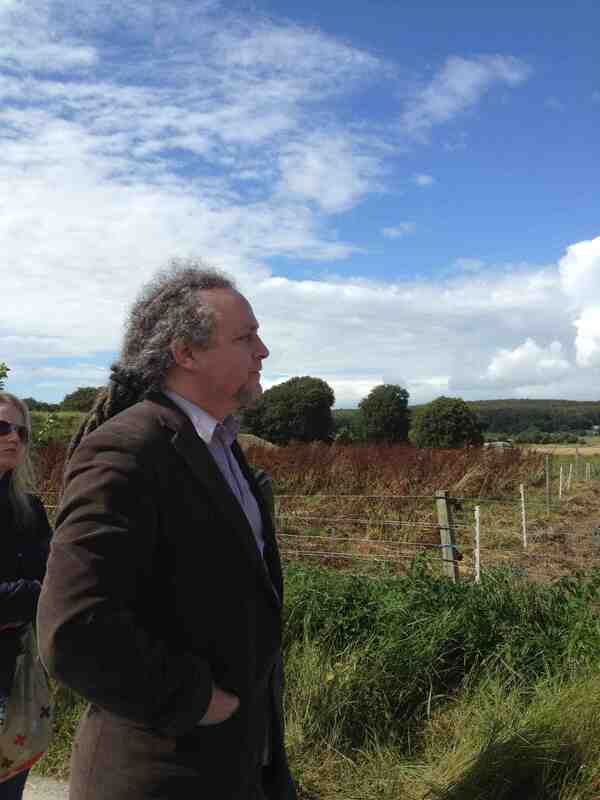 A charming, unspoilt village in north Tipperary, Cloughjordan has plenty of claims to fame – not least that it’s the birth place of the 1916 patriot, Thomas MacDonagh, who is honoured at a museum on the main street – but, to many people these days, it is synonymous with its Eco Village. Except for IFWG member Ollie Moore (left), who lives at Cloughjordan with his family and is a keen ambassador for the project, most of us had only a vague idea of what to expect when we gathered at the Middle Country Café & Crafts (aka The Cloughjordan Community Co-Op) to be plied with freshly baked scones and local preserves by Megan Driscoll and Paul Glennon, who run the café. Firstly, educator and facilitator, Davie Philip, gives us a quick run down of the project’s history – from its visionary beginnings in 1999, through the arrival of the first residents a decade later, to the stage they’re at today. It makes a fascinating story. The main aim is to develop a workable model of sustainable living that can be used elsewhere, so everything is very practical. Cloughjordan has a railway station, for example, which was one of the main reasons for choosing to site the village here. 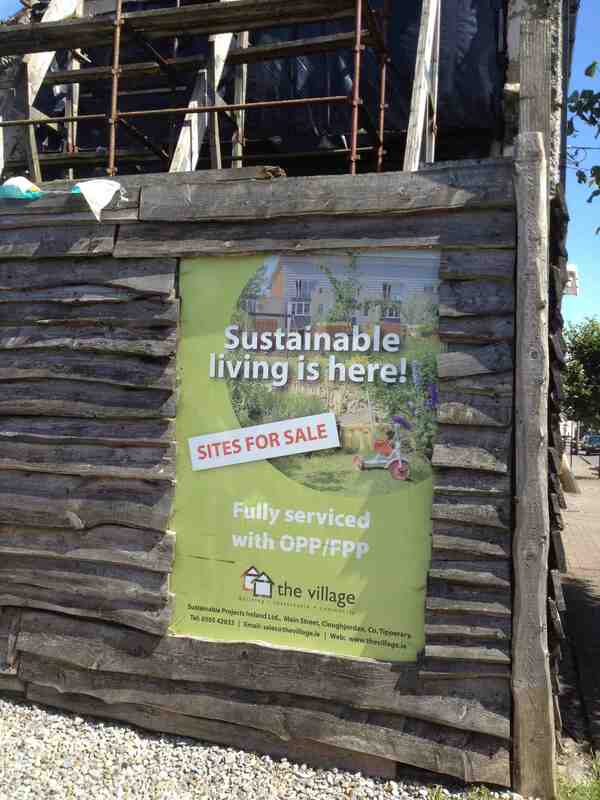 Other factors include the fact that it is easily accessible from Dublin and several other cities, and the land available was adjacent to an existing settlement – in fact all that was necessary to create an entrance onto the main street was to demolish a derelict pub, so the evolving ecovillage (and its farm) have become part of the original village, with its churches, schools, pubs and other amenities. 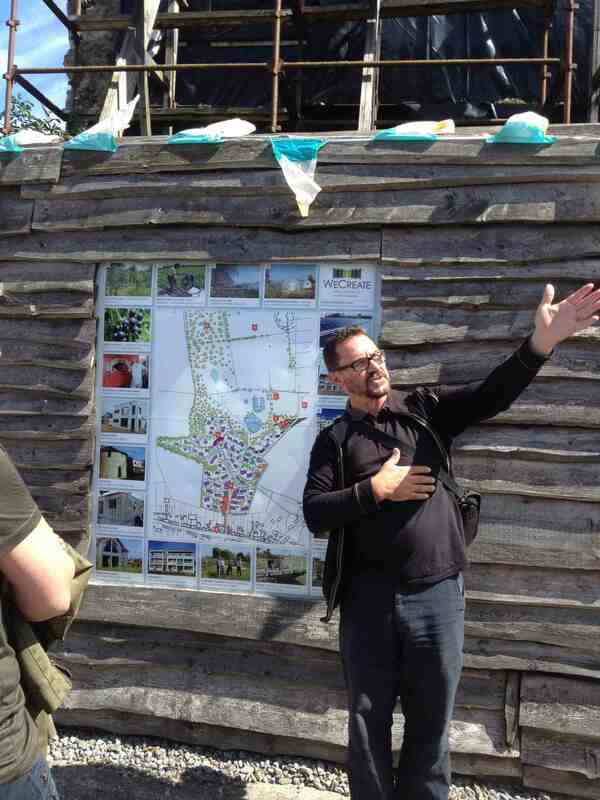 Describing it as ‘a work in progress’, Davie explains that there are now over 50 homes occupied on the 67 acre site – which, together with the amenities and work opportunities they have developed and its successful integration into the original village, is enough to make the ecovillage feel welcoming – and, as there is outline planning permission in place for 130 homes, they are now ready for new members (http://www.thevillage.ie/become-a-community-member/whats-for-sale/) The residents are very mixed – young families, professionals, retirees, couples and singles – most of them mainly attracted by the promise of sustainable living and the sharing economy, while others especially like the idea of joining a diverse community of likeminded people. It’s clearly a lifestyle choice with great appeal and Cloughjordan was designated one of Ireland’s Best Places to Live by The Irish Times in 2012. 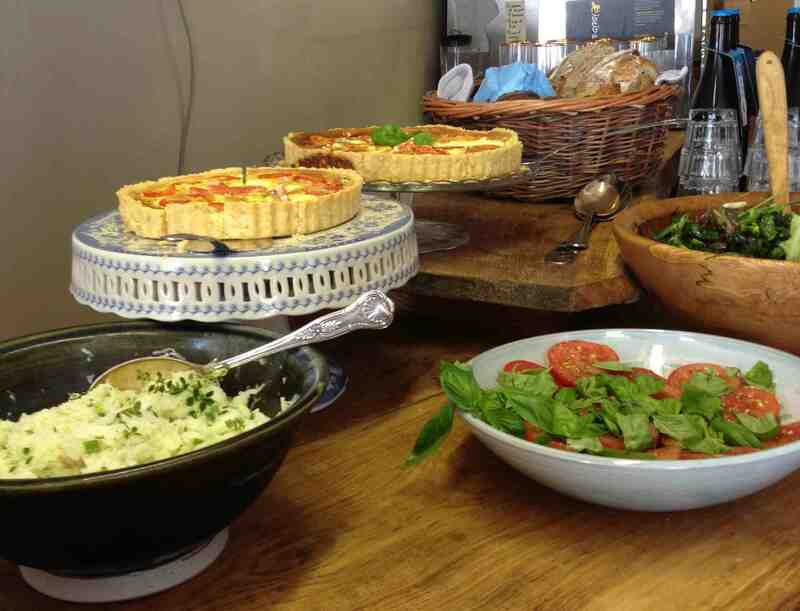 Predictably enough, lunch was a highlight of our visit. 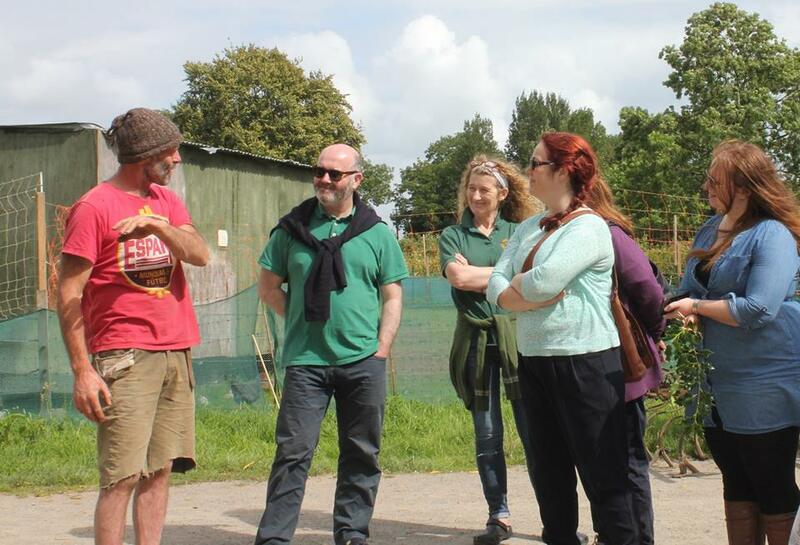 Well produced local organic food is a big part of the ecovillage’s appeal and, by local, they mean max 20km and mainly produced on site at their own community farm or allotments, or sourced from neighbouring areas, mainly in Tipperary and Offaly. Prepared by Megan Driscoll and Paul Glennon, our lunch was dead simple and absolutely gorgeous. 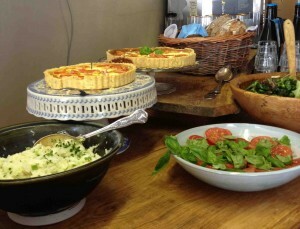 Delicious ‘Cluckjordan quiche’ – made with their own free range eggs, Mossfield cheese from Birr, tomatoes and onions from the farm and gardens – was served with three wonderful salads: kohlrabi with a Mossfield yogurt dressing; ‘Alicante’ tomatoes with an unusual Wild Irish Foragers dandelion shrub dressing; and a Community Farm green salad made up of half a dozen varieties of greens produced on site and a ‘cover shrub’ dressing. 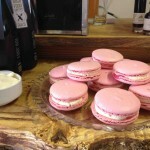 Served with Riot Rye sourdough breads, made in the ecovillage bakery, this was a feast of simplicity, beautifully rounded off with Paul’s raspberry macarons and accompanied by White Gypsy beers (stocked at Grace’s pub nearby). 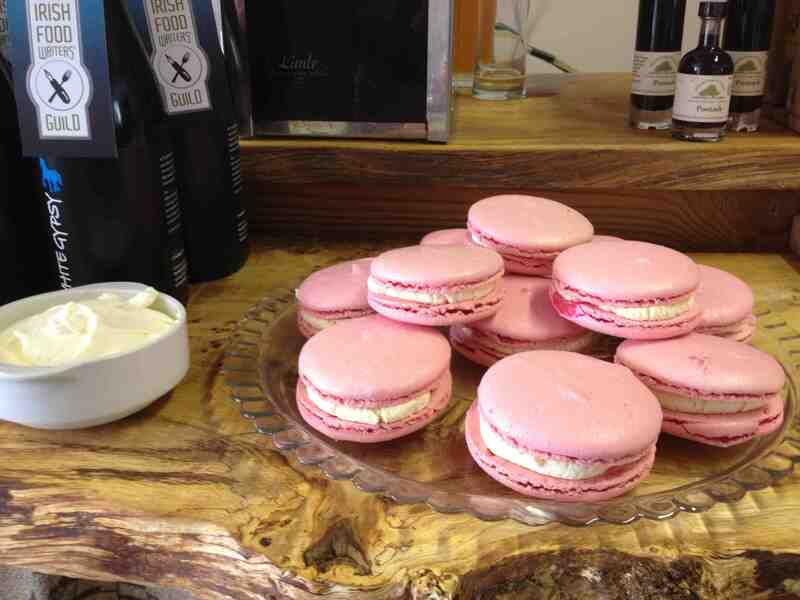 All this, plus a cup of Barry’s (or herbal) tea or superb Ponaire coffee, for about €20 – what more could anyone want? 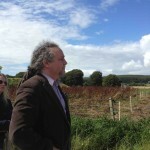 Interestingly, no less than four of the businesses represented on our lunch menu were recipients of IFWG Awards this year: Joe Fitzmaurice of Riot Rye (Notable Contribution to Irish Food Award); Wild Irish Foragers & Preservers (Food Award, Sharon and Gordon Greene); Mossfield Organic Milk (Food Award, Ralph Haslam, Birr, Co. Offaly); and White Gypsy (Irish Drink Award for Cuilan Loughnane’s White Gypsy Russian Imperial Stout). 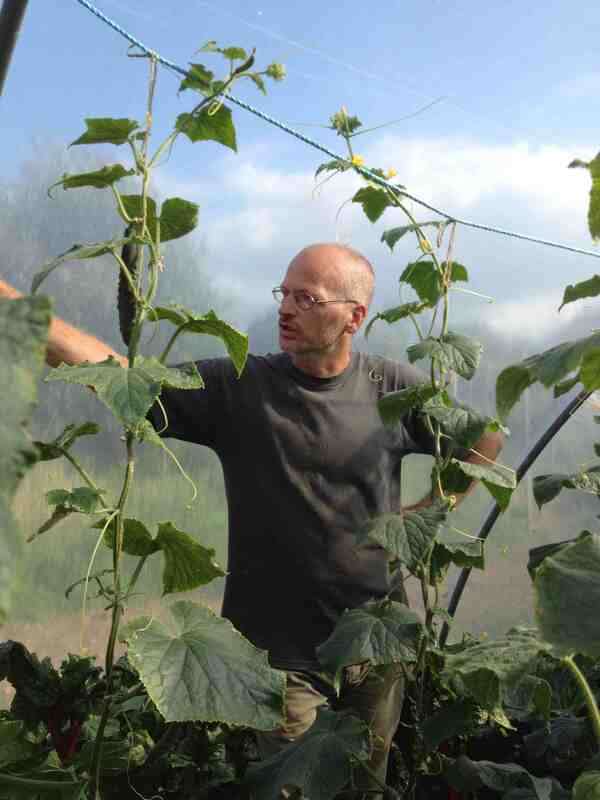 Cloughjordan Community Farm is run for the benefit of all by the cheerful farmer, Pat Malone, with the assistance of Woofers (“World Wide Opportunities on Organic Farms”; www.wwoof.ie) and community volunteers. 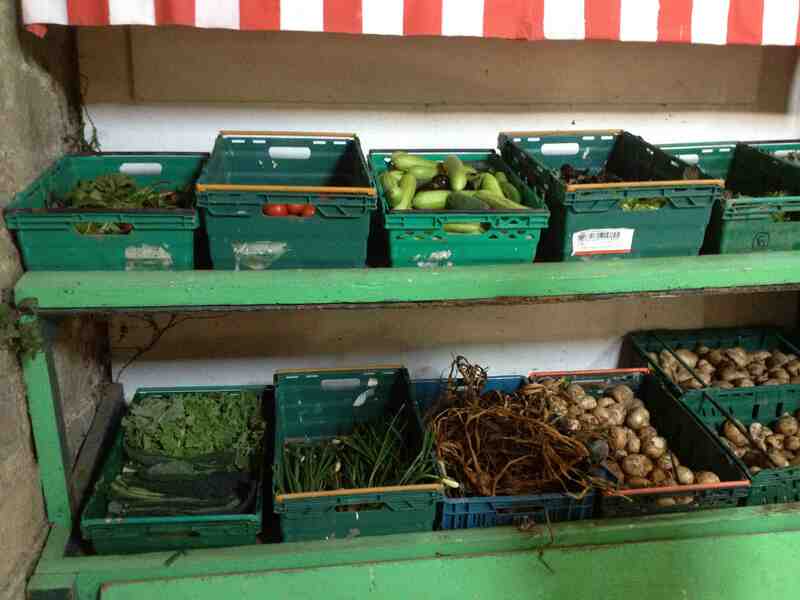 It’s organic, run on biodynamic principles, GM free (of course) and the produce belongs to the signed up members who live in the eco village and in the wider community and pay a flat rate per adult per week. 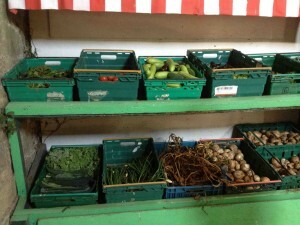 A barn near the main ecovillage entrance is used as a collection point where members can come and get whatever they need. Riot Rye Together with his wife and business partner, Julie Lockett, baker Joe Fitzmaurice runs Riot Rye Bakehouse & Bread School Joe has been a member of the UK’s Real Bread Campaign since 2008, when he ran the baking side of Blazing Salads, his sisters’ Dublin-based whole food business. 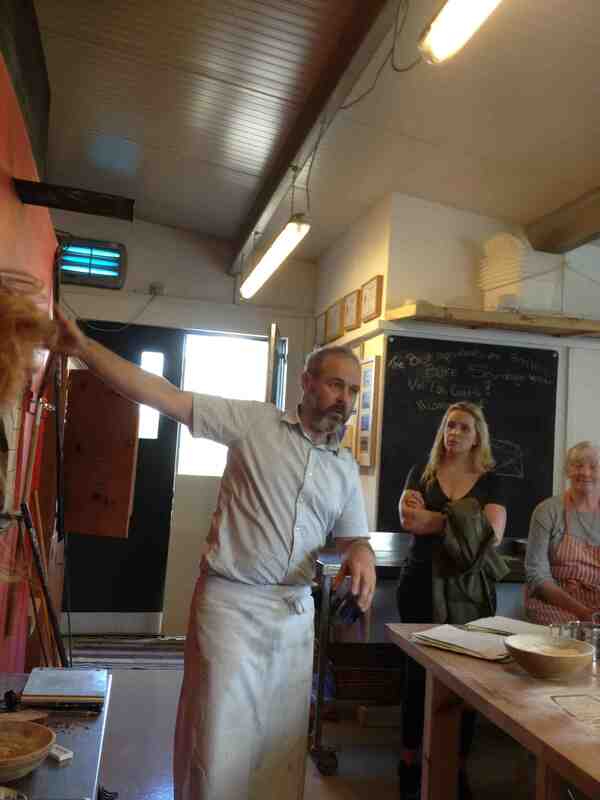 In 2015, he became a founding member of the Irish Real Bread network, which supports professional craft bakers. 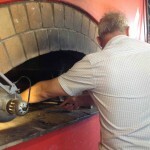 His aim is to encourage small bakeries in communities everywhere, baking ‘real bread’, ie bread produced without the use of industrial additives or chemicals. 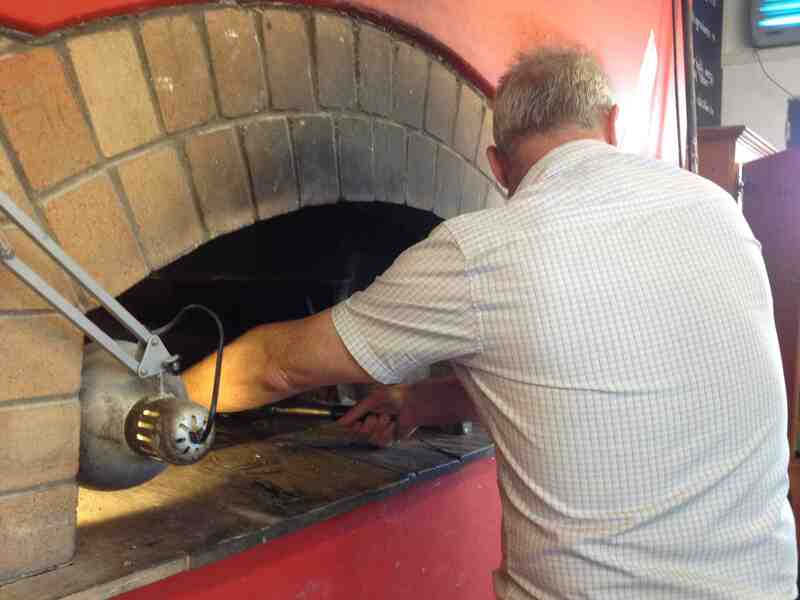 Three times a week Joe fires up sustainably sourced timber (thinnings from the ecovillage’s forested area) in his self-built, Alan Scott-designed masonry oven and bakes enough organic loaves for local customers, ie Cloughjordan and neighbouring towns and villages. 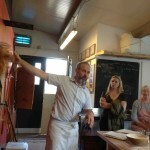 He also offers cookery classes and, to encourage others everywhere to bake real bread, he has developed The Common Loaf, a straightforward sourdough recipe demo video (www.riotrye.ie). 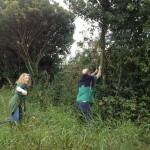 All kinds of very familiar bounty – including elderberries and elderflowers, rosehips, rowanberries, blackthorn sloes, blackberries and damsons, honeysuckle and gorse, nettles, meadowsweet and clover – is transformed by the Greens into an expansive range of products based on traditional recipes, and Sharon’s point is that foraging is there for everyone to try. Polytunnel systems, on the other hand, suit Ireland very well as they not only provide warmth but, even more importantly, protect crops from wind – but does the fast-growing food produced in a poytunnel taste as good as its slow growing outdoor cousin? 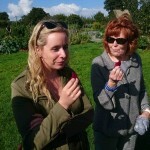 The jury is out on this, but we did do an interesting comparison between two samples of the same variety of beetroot – one grown extensively (outdoor) and the other intensively (poytunnel). 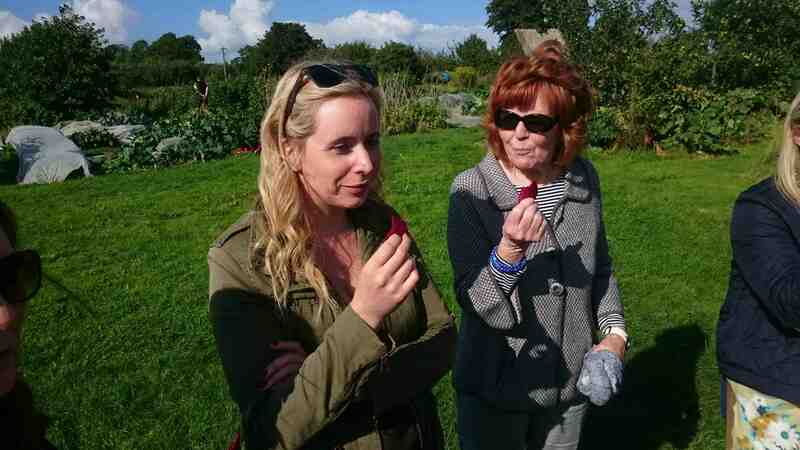 Not only did the sizes vary dramatically but they tasted totally different – not just a slight variation, but like completely different vegetables and the slower growing outdoor beetroot was the tender one with that natural sweet beetroot flavour. Not exactly a scientific comparison, but interesting all the same. 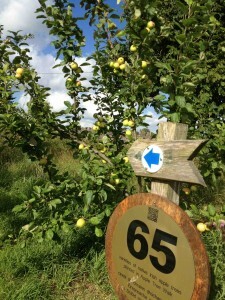 Beside the RED Garden the residents of a thriving Apiary have plenty of work to do, not only in the surrounding allotments but, especially, in The Apple Walk, a grass path that has been planted with no less than 65 varieties of native Irish apples from Seedsavers in Co Clare. 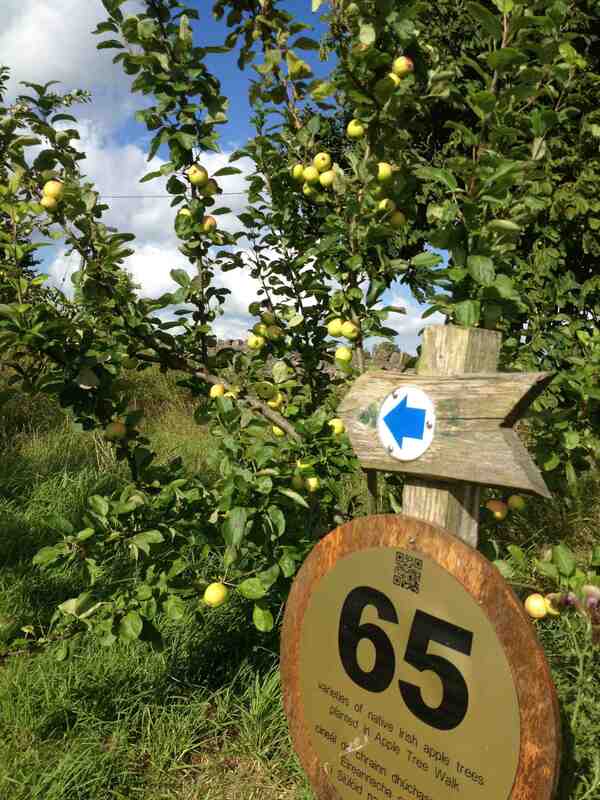 From these, they have grafted about 600 trees to create an orchard – so if you are interested in finding rare old apples like Red Brandy, Bloody Butcher or Glenstal Cooker this could be the place to look. Stocks of of plum, pear and cherry trees are also being built up – and visitors arriving at the ecovillage will notice that, instead of walls or fences, the boundaries around the properties are lined with edible hedges – apple trees, blackcurrants, gooseberries, raspberries and Rosa Rugosa – that provide privacy in a delightfully informal way. 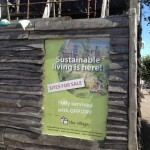 GROUP VISITS from Community Groups, Schools, Colleges and Professionals are welcome at Cloughjordan Ecovillage by arrangement (edvisits@thevillage.ie; 086 7732158), and WEEKEND DROP-IN TOURS (1 hour) of the ecovillage, led by members, are available throughout the year every Saturday and Sunday. 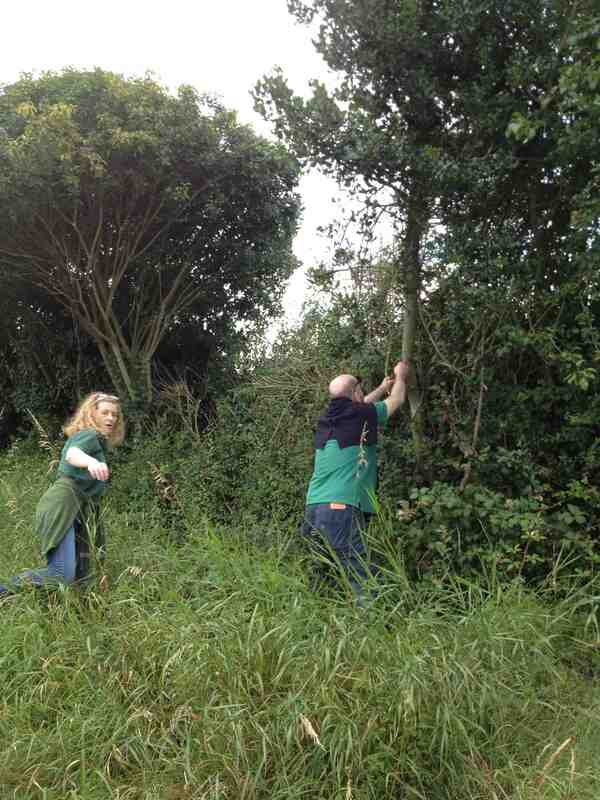 They leave from Sheelagh na Gig book and coffee shop on the Main Street of Cloughjordan at 3.00 pm and donations are invited to support the ecovillage.